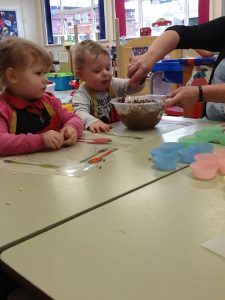 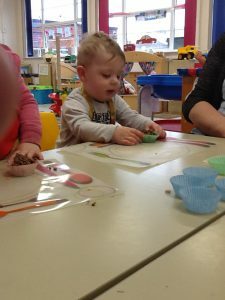 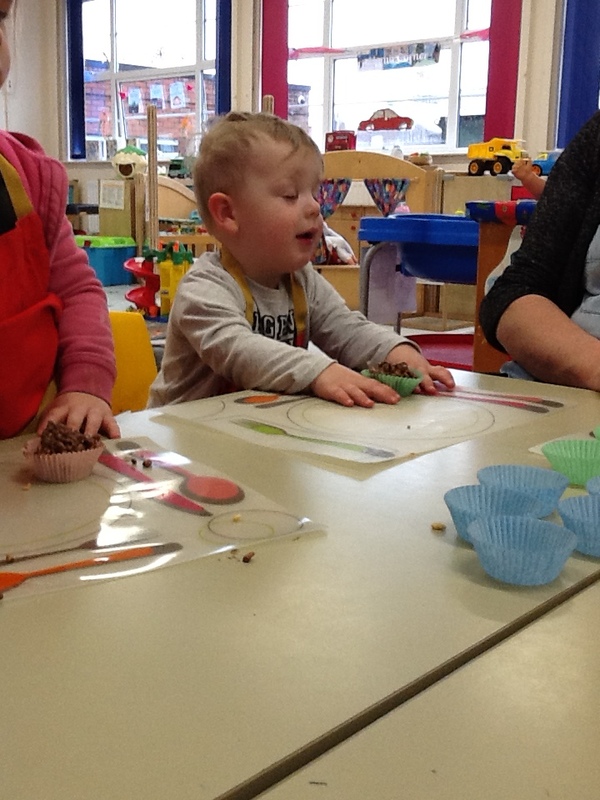 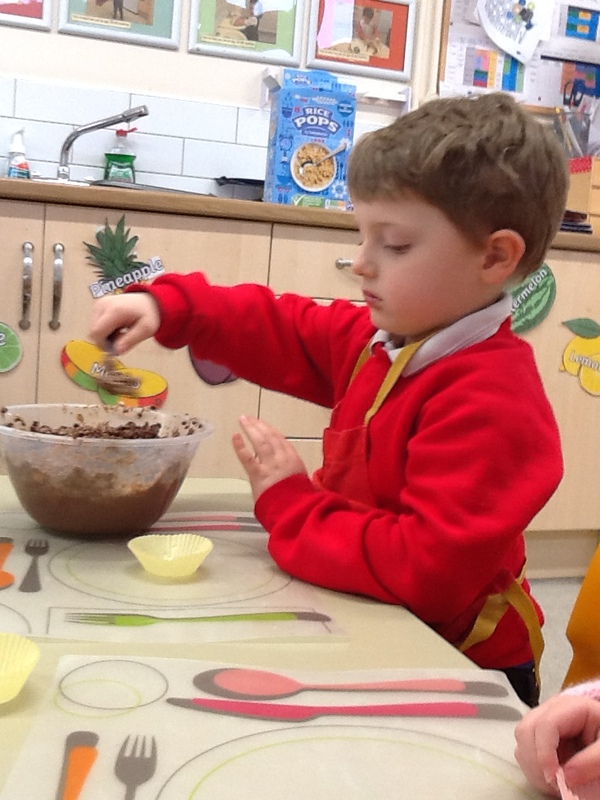 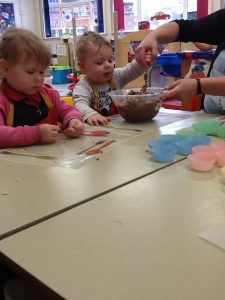 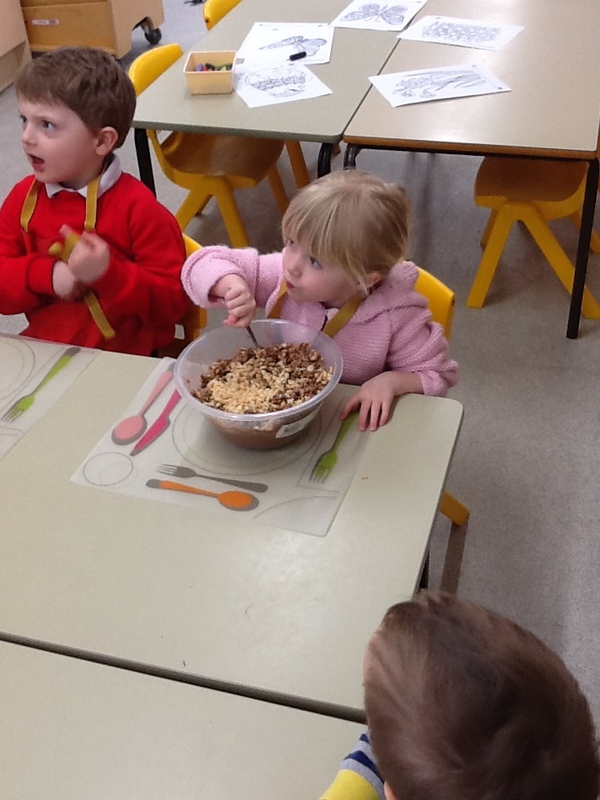 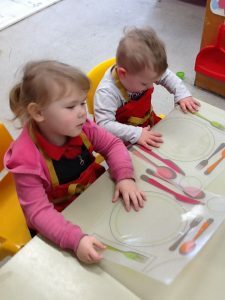 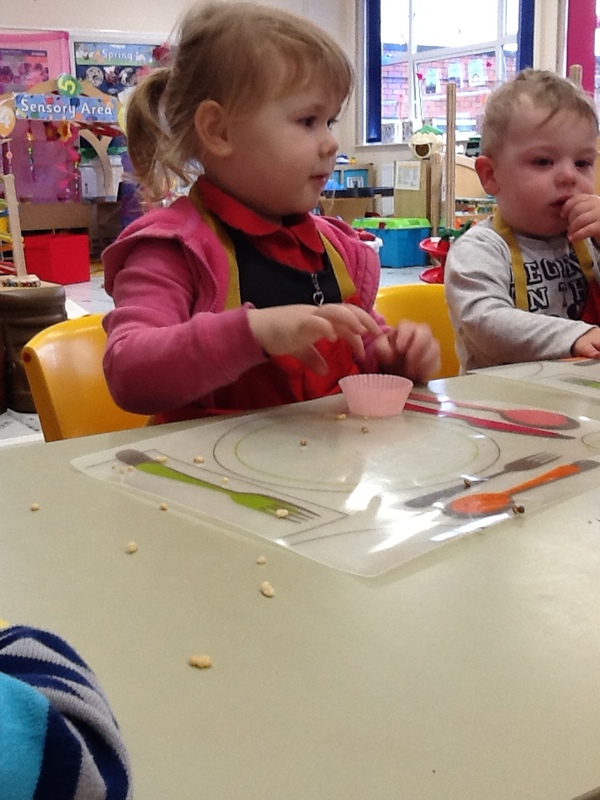 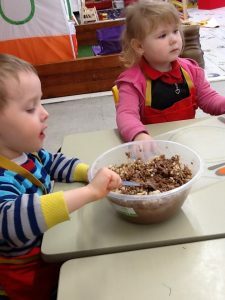 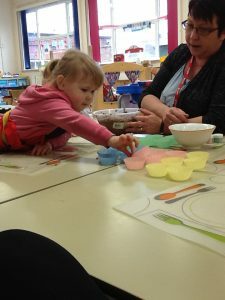 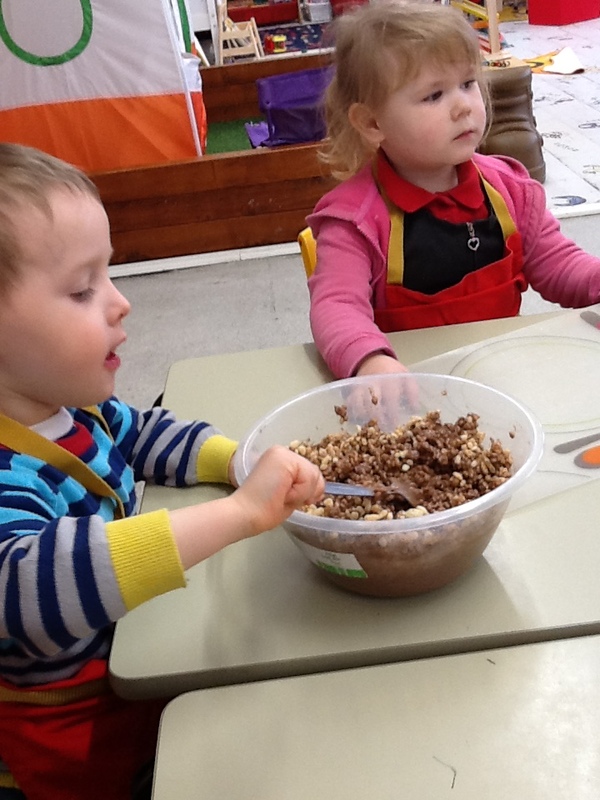 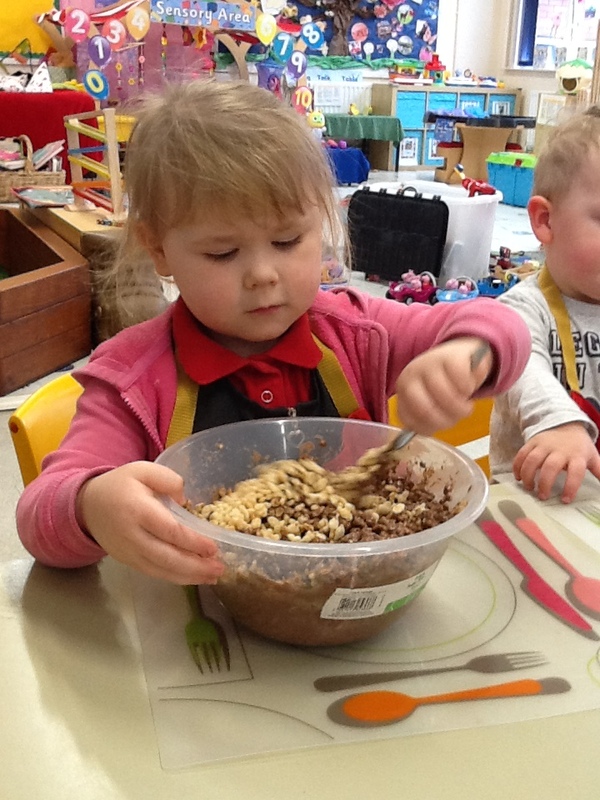 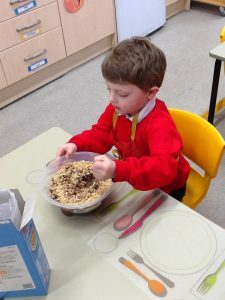 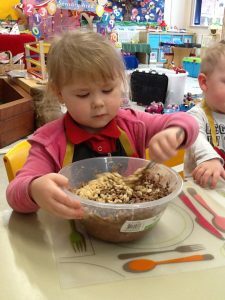 Nursery have been very busy cooking up some lovely Easter treats! 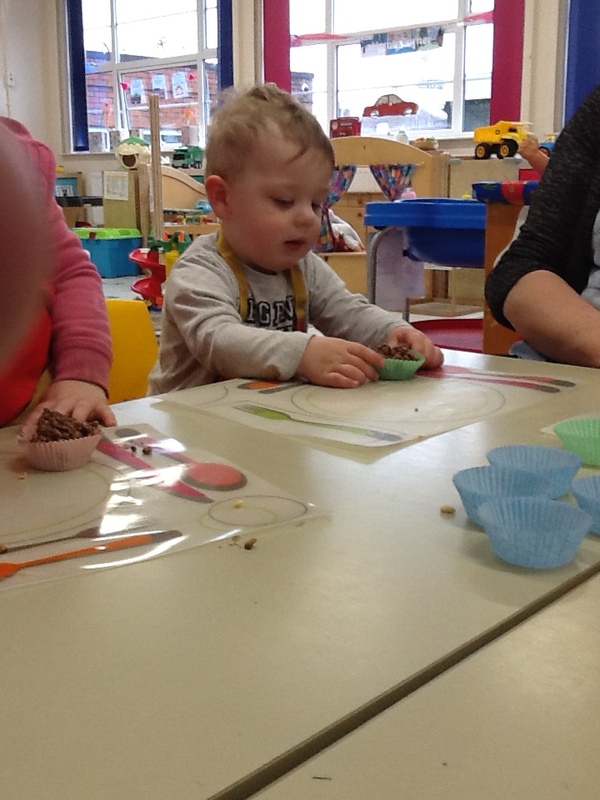 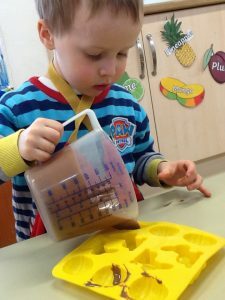 We worked on our physical development by stirring our treats and pouring the chocolate into the mold. 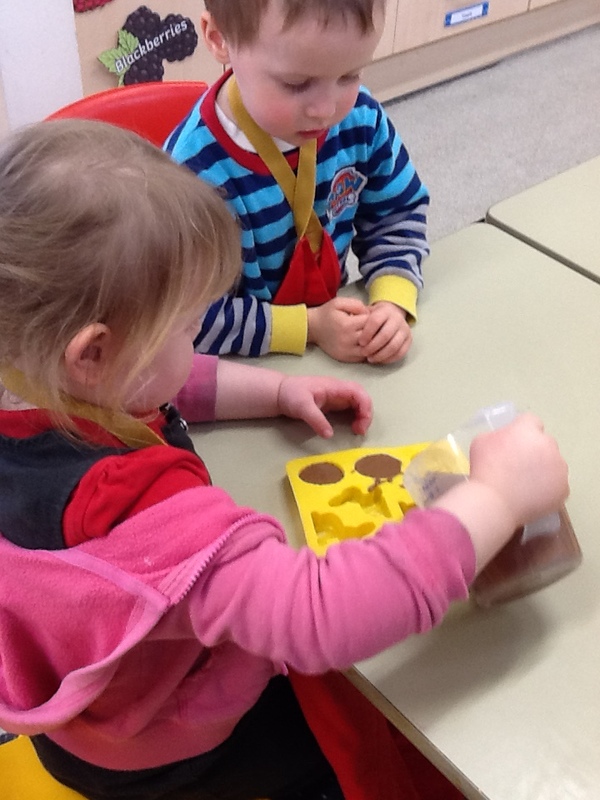 We were very careful making sure that our chocolate went into the mold and not the table! We also picked the colour of our cases for our Easter nests.